The design is simple and easy. There are no screws, Velcro or loose parts to break or lose. Just hold your blank of your rod on the bottom of the Rod Pod and slide it into the reel slot. The Rod Pod holds rods up to 30 inches in length and will fit most ice rods. You’ll also notice a hole at the top of the Rod Pod. This can be handy in ice houses or storing for the off season. If you’re sick of damaging your ice rods or getting to your favorite spot with a bucket full of tangled rods, give the Rod Pod a try! You’ll be glad you did! Look for them at your local ic fishing store. They should be available online soon from AnglersMart.com too. 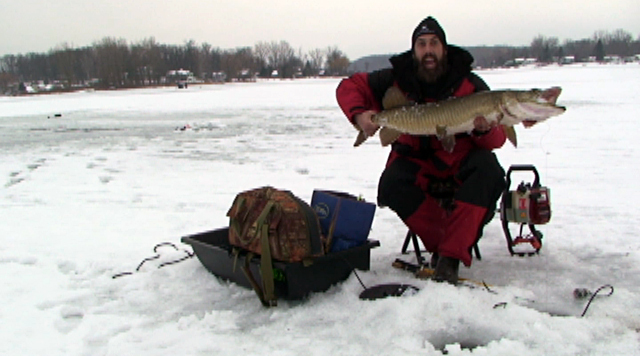 Check out the short VIDEO below on how easy the Rod Pod works to protect your ice fishing rods!